As you already know, the grand dame of Singapore’s luxury and hospitality scene is in the midst of going through a massive restoration and upgrade — all part and parcel to remain an “integral part of the vibrant and ever changing local bar and dining scene,” according to Christian Westbeld, general manager of the famed aforementioned Raffles Hotel Singapore. Westbeld adds that members of staff are recommitting themselves to retain “the highest level of friendly, engaging and anticipatory service” that the circa-1887 hotel has always been known for. Upon its reopening next year, the hotel boasts an impressive new line-up of dining experiences by heavyweights of the culinary world. As part of a series of culinary firsts, the hotel will welcome acclaimed chef Alain Ducasse, who’s going to present his first Mediterranean sharing and grill concept restaurant in the newly restored Bar and Billiard Room (BBR) within Raffles Hotel Singapore, aptly dubbed BBR by Alain Ducasse. Ducasse said that he “could not dream of a better location than Raffles Hotel Singapore to bring the Ducasse restaurant experience for the first time in Singapore” and that he and his team are “look[ing] forward to adding another culinary destination for Singapore’s varied international clientele”. BBR by Alain Ducasse will be a modern, energetic and vibrant gathering place, boasting an impressive medley of Mediterranean flavours inspired by the essence of Portugal, Spain, Italy and France. The restaurant will feature an open kitchen with charcoal grills and wood-fire ovens. The return of the highly anticipated Raffles Sunday Brunch will also be making its return with the opening of BBR by Alain Ducasse. La Dame de Pic (to premiere at the grand dame of Singapore, no less) will be the first Asian outpost of Anne-Sophie Pic’s growing restaurant empire. 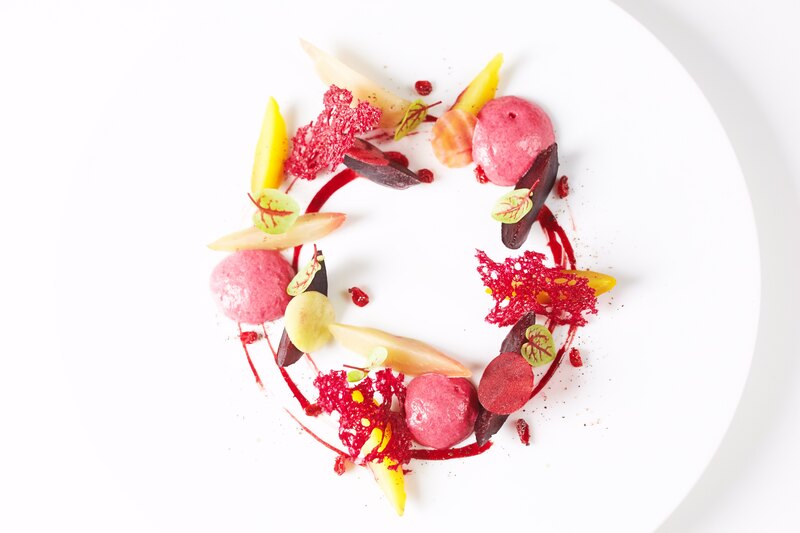 Touted as one of the world’s top female chefs, Pic invites diners to discover her unique culinary identity reflected in the aromatic complexity of her food — plus her signature combination of flavours and powerful tastes that’ll evoke emotions. The three-Michelin starred French culinary powerhouse hails form a long line of Michelin-starred chefs, following in the footsteps of her grandfather, André Pic (who earned the prestigious three-Michelin-star for the family’s namesake restaurant), and father, Jacques Pic. Her restaurant is set to combine robust flavours from the menu with a diverse collection of wine and spirits that’ll enhance the intensity and harmony of the pairings. The wine list, in particular, offers a wide international range of wines, with a focus on the French region of Rhone Valley, Anne-Sophie Pic’s birthplace. Last but not least, rounding out the trio of partnering celebrity chefs at Raffles Hotel Singapore is our very own Jereme Leung. A sort of homecoming for the Shanghainese cuisine hotshot, the Singaporean chef’s new restaurant yì, which stands for art in the Chinese language, will awaken your appetite and senses with its contemporary take on Canto classics and China’s ancient delicacies with a focus on seasonal produce. Designed with modern sophisticated detailing and a soft white palette in complementation to the preserved 19th century architecture of the hotel, this contemporary Chinese restaurant will be located on the third storey at the newly restored Raffles Arcade. Along with yì, the refreshed Raffles Arcade will also see a new and vibrant dining concept called Butcher’s Block, where the focus is on the world’s finest cuts of single-sourced meats. Some other notable signature dining experiences that will be returning with the reopening of the hotel are the Tiffin Room, with its authentic taste of North Indian cuisine; the Long Bar, which has been home to the iconic Singapore Sling for over a century; and The Lobby, where guests can partake in one of the hotel’s greatest traditions — the classic Raffles Afternoon Tea experience — situated amidst the newly restored pillars of the hotel lobby.